Here at Electronic World, we have made it our guarantee to pass on the biggest savings onto our customers who are looking for a cheap LED TV, without having to sacrifice quality. Our extensive range of cheap HD TVs is sure to have something for everyone; whether you’re looking for a super crisp picture from a 4K TV, or simply a set which has Freeview built in to watch your favourite shows, we guarantee we’ll have something perfect for you. We aim to keep all our prices as low as possible to ensure that our customers have access to the most competitive prices when buying a new HD LED TV for their home. All of our TVs are graded stock, which means that you are essentially getting a high quality TV at a fraction of the original price. 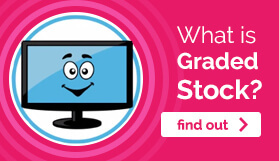 Graded simply means that the TV was returned to the retailer in full working condition but can’t be sold on, for one reason or another; it may have been returned in a damaged box, been a 30-day return, or simply an unwanted gift, so why miss out on grabbing a bargain? Take your viewing experience to the next level with an utterly immersive 4K HD TV or browse the internet at your leisure on a 40 inch Smart TV; whatever you want from your TV set, let Electronic World help find the perfect television for you. To further your trust in us, all the cheap LED TVs that we stock come covered with our 12 month guarantee; including our top of the range 4k LED TVs, 3D LED TVs and Smart LED TVs. In the unlikely event that your LED TV develops a fault, you’ll be covered by our unbeatable protection which will allow us to repair or replace your purchase, giving you peace of mind when you invest your money in our products. 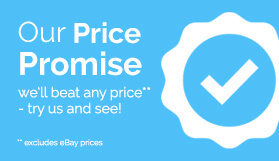 We’re determined to give our customers the best cheap TV deals, and we won’t be beaten on price. We pride ourselves on our dedication to our customers, so you can be sure that you are receiving the best quality LED TVs at the cheapest possible prices. So, contact the Electronic World team today and find out how we can help you find the ideal LED HD TV for your needs without breaking the bank. 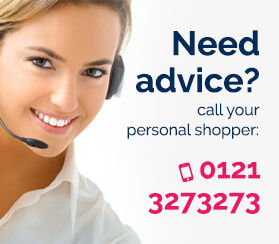 Alternatively, if you need more information you can call us today on 0121 769 2623, or chat with us online where we will be more than happy to help.